FC Barcelona Players. 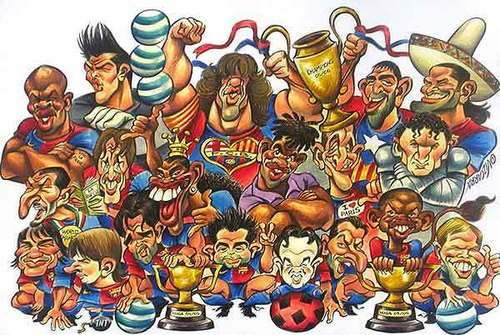 Players from barca!. Wallpaper and background images in the FC Barcelona club tagged: barcelona football club soccer spain spanish league players fan art barca. Mona Lisa is a fan of Barça!